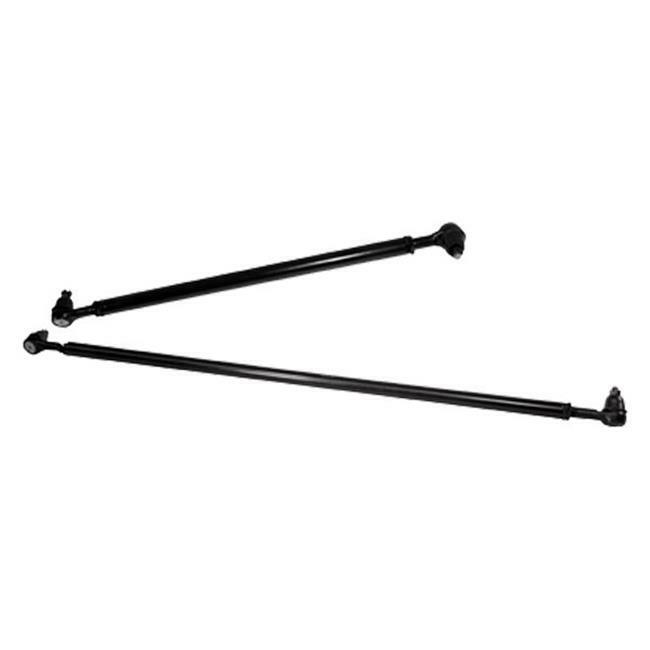 This heavy duty tie rod and drag link kit from Rugged Ridge fits 82-86 Jeep CJ7 and CJ8. Beef up your Jeep with Rugged Ridge steering components. These parts are a bolt-on solution for preventing bent tie rods when you go 4-wheeling with big tires. Stronger materials and better design combine to solve common steering problems encountered when off-roading.